Shining Force 2 has been one of the defining games of my childhood, and from the moment when I first stumbled upon the Caravan and the SF2 Editor I was obsessed with creating a hack that would bring the game closer to my vision of how it should have always been. I started working on this thing sometime in 2011, and would continue to tinker with it every other year, after having one of my regular cravings for tactical RPGs. Return to Grans is a more challenging version of the original game, which also features a better narrative as well as improved visuals. - Dialogues in the game have been vastly reworked - about 40% of all text passages have been altered, replacing the oftentimes bland writing of the original. - Many of the less appealing graphics in vanilla SF2 have been improved/replaced, such as the battle sprites of the Vicars or the Archers. - Difficulty and balance have been reworked by tweaking enemies' stats, skills and numbers on the battlefield. Battles will usually appear familiar due to mostly the same enemies and setups, but will often play out quite differently thanks to new abilities, magic spells and some surprises. Gameplay-wise, the hack will require you to play more tactical; careful positioning and a well-thought-out composition of your party are far more important than in the original game. SF2 - Return to Grans is the complete version, as described above. SF2 - Retold features only the improved dialogues and visuals, while the gameplay remains untouched, i.e. 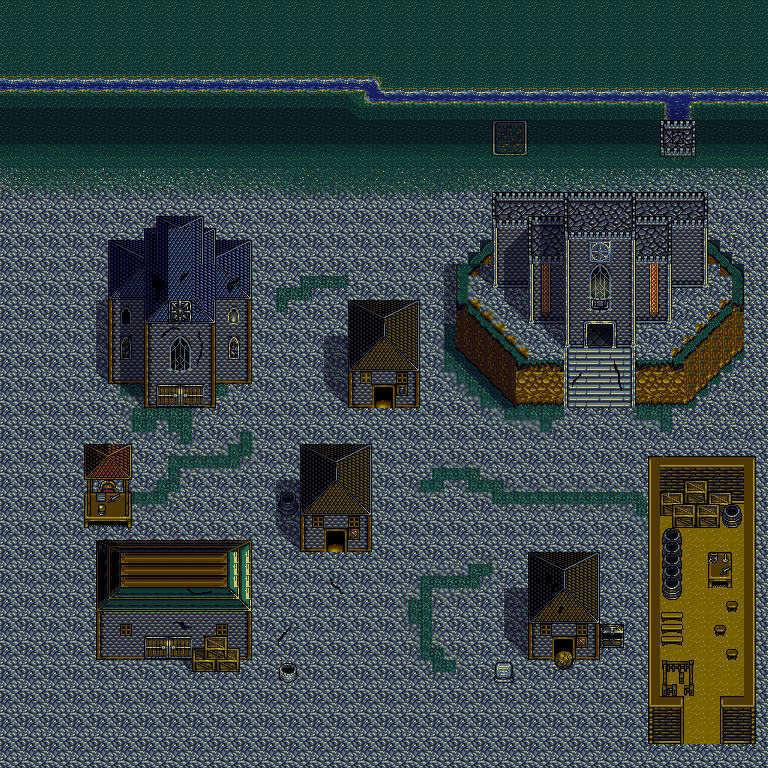 you will be playing original Shining Force 2 with all its flaws, but it will look prettier. I am also in the process of uploading my most recent playthrough on Youtube. If you are interested in a more detailed overview of the changes, I have compiled an extensive pdf-guide on the hack, which can be found among the links below. This hack makes the game considerably harder than the original, which is achieved by making the enemies slightly more powerful (+ATT) and much tougher (+HP, +DEF), while also sometimes granting them some extra manpower. Some enemies have also gained new abilities. The "NORMAL" difficulty of Return to Grans is probably halfway between vanilla SF2's "NORMAL" and "SUPER" now. The difficulty level should also be more consistent (I feel that original SF2 actually got easier towards the lategame - no more). Warning: Return to Grans is not balanced for playing on SUPER, and I certainly don't recommend it. Do not play on SUPER unless you're looking for a really tough and potentially unfair challenge. You will face one-hit-KOs and the like. First off, level caps are set to 25 for unpromoted characters and 30 for promoted characters respectively. The general promotion paths remain more or less the same, although this hack introduces two new classes: the Cleric (replaces the Vicar) and the Berserker (replaces the Gladiator). Most classes have been subject to significant (or at least slight) tweaks. For example, there is now a clear division between tank characters and damage dealers. Sorcerers now play out radically different from before. "Special" promotion paths are never simply superior to their alternatives, but instead have clear advantages and disadvantages. Stats of members of the same class are now much more equal across the board. Magic spells have undergone some major changes to make the game more balanced. For example, Boost is no longer available as an AoE spell, Bolt is much more difficult to use effectively due to a required minimum distance to the target, and Blast can be a very effective spell thanks to a large AoE radius. Some characters learn slightly different spells. Many items have been tweaked, some have been removed/replaced, a few have switched locations. Mithril weapons have been reworked as to be more balanced - for example, the Gisarme with its powerful instakill ability now grants a much lower +ATT bonus (equal to a Critical Sword). Only seven Mithrils can be found throughout the journey, making cursed weapons are more viable alternative. Pendants have been added as a category of wearable items. A small number of maps has been altered (I would have loved to do a lot more, but unfortunately map editing is very likely to completely mess up the ROM or at the very least cause major bugs), namely Granseal, Yeel and a few others. All of the map changes are (almost) exclusively visual, meaning that the general setup of maps (and battlefields in particular) hasn't changed, it's all just for show and ambiance. - The Evil Spirit in Creed's mansion will not change into Zeon but rather disappear completely when the king of devils starts showing up. - The upwards-facing map sprite of Peter has a few odd pixels appearing on the right side of his head, no matter how often I change his sprite. - In some battles enemies do not spawn correctly, i.e. their sprite is not being displayed until they move or the map is reloaded after a battle sequence. Some glitches may also occur. - If you attempt to switch the equipped weapon of THIF Slade during combat, you will get the notification that his weapon is cursed and therefore cannot be replaced (even if he is not wielding any). - During one playthrough test, SORC Kazin learned two additional levels of Neptun, which were both essentially bugged "Higins"-type spells. Since the original Neptun was still usable, gameplay was not affected. I was not able to reproduce this bug in another playthrough. - There's a glitch in the intro, which causes the map to be all black during the sequences in Granseal Castle. - Alones, for allowing me to use his beautiful item icons. - Big Nail Cow, for creating the Caravan. - Ronnen, for his Exp Editor. the Youtube Video :) ). I also stole an idea from his hack. - Space King, for creating the SF 2 Editor. - Stordarth, for helping with all kinds of stuff. - Wiz, for his disassembly tools which he kindly tailored to my needs. I first started working on this thing. -A bug which caused PLDNs to be unable to learn HEAL has been fixed. -A bug which caused MMNKs to be unable to learn HEAL 3 has been fixed. After you've downloaded your game file in the form of an .ips-patch, you will need to apply it to a basic Shining Force 2 Rom (i.e. one that has not been expanded with the Caravan). This is done via a program such as IPSWin or LunarIPS. Shining Force 2 - Return to Grans has been tested extensively on Gens+ and runs flawlessly on it. Other Emulators are most likely working fine as well. If you have any problems with downloading, or encounter any bugs while playing, please send me a PM. Last edited by greyskies on Sun Aug 26 2018 6:35pm, edited 41 times in total. Hello, why is the game file so small ? The story one is 1.3MB but the hack is 1.4K. I don't see how that can be right ? Other than that question this sounds very exciting, sorry to start with a quibble. The file is so small because it's not a full ROM, but rather a patch. Offering the complete ROM for download would violate the forum rules, so what you'll have to do is get the ROM elsewhere (which is, to the best of my knowledge, not illegal as long as you own the original game) and download the hack/patch here. Afterwards you'll have to use an IPS patcher to merge them both together, so to speak. I'll have to admit that I am a bit uncertain on whether any version of the ROM available will work with the patch I am offering for download, so if there's any questions in this regard, just contact me. And just so there's no confusion, the "story hack" (SF2 - Retold) and the "full hack" (SF2 - Return to Grans) are both standalone patches, so to say. SF2 - Retold is only the dialogue changes, for those who want the revamped story, but no tougher battles and fancier graphics. I like some or recolors and new sprites. No,no, I get it's a patch. I know all the rules on ROMs, and agree with them. But I don't get how a patch that is 1.4 kb has that many changes, yet the story mode is 1.3MB. A patch of 1.4 Kb would change almost nothing, are you sure you've got it right ? Clearly, there's an incredible amount of passion in this work. The Retold patch seems to work like a charm. But I'm afraid the Return to Grans patch is incomplete : the patched ROM is only 2MB with no script changes and no graphical changes, at the least. Oh, I'm sorry, I completely misunderstood the problem (and truth be told, I have no idea how it occurred). I have uploaded an updated version, so I hope all is good now. Thanks a lot for notifying me of this error, Shining Hopeful and Wiz! Glad to help. And on the question of balancing difficulty, I really do get it. I did a hack of Shining Force (Enemies of Greater Intent, plug, plug) and the longest thing by far was play-testing it for difficulty. And my hack did not involve a new story at all; can't imagine what you suffered! How that the new patch is up I will download it and have a go at some point. It works on real hardware, woohoo ! But the storm light effect works, so the map is properly loaded. Could it be a palette problem ? Oddly enough, the Retold hack also has this tiny bug. Definitely sounds like it. Ran into that issue before. Should simply be a case of editing the default palette back in. Shining Hopeful wrote: Glad to help. And on the question of balancing difficulty, I really do get it. I did a hack of Shining Force (Enemies of Greater Intent, plug, plug) and the longest thing by far was play-testing it for difficulty. And my hack did not involve a new story at all; can't imagine what you suffered! Hey man, I'm probably a little bit late, but I have a question. Did you change the ending? I want to know how this unfolds before downloading the patch. Does Sarah end up with Bowie or something? I will have to try this. I was reading the PDF you made. I have two questions, does Bowie still learn Bolt 4? Also I read you changed some stats. One being Bowie, how much lower did you make his DEF? I mean can he be 2HKO now by the late creatures? Or just don't leave him alone to take on like 3 guys? For me the story/writing in SF2 is really dull and probably the biggest obstacle to playing new hacks of the game, so I'm interested in seeing what you've done with it here. ch4zzyklon wrote: Hey man, I'm probably a little bit late, but I have a question. Did you change the ending? I want to know how this unfolds before downloading the patch. Does Sarah end up with Bowie or something? It depends on your definition of "change". The ending is one of the more heavily edited things in this hack, but by this I mean that a lot of the dialogue has changed. So, no, (spoiler alert) it's still BowiexElis. What you can expect when playing this hack is that this romance does no longer feel forced (at least not to the extent of vanilla SF2). igable wrote: I will have to try this. I was reading the PDF you made. I have two questions, does Bowie still learn Bolt 4? Also I read you changed some stats. One being Bowie, how much lower did you make his DEF? I mean can he be 2HKO now by the late creatures? Or just don't leave him alone to take on like 3 guys? Bowie will still learn Bolt 4, albeit close to his maximum level (which he will reach more easily). I can't really say how high his Defense will be, but it's probably about en par with PLDNs. I don't think that 2HKOs are likely, but probably possible, if it's two particularly powerful enemies. Then again, you mustn't forget that this hack also makes the game more difficult. Long story short: compared to the rest of the force, Bowie is still relatively sturdy, but he's no longer a tank. Sniper Lyle wrote: For me the story/writing in SF2 is really dull and probably the biggest obstacle to playing new hacks of the game, so I'm interested in seeing what you've done with it here. Today I started a playtrhough of your hack and its amazing. You put a lot of efforts in it and I apreciate discovering all the littles details you changed. I like the new color of Astral portrait, the little jokes as in the soapy water part or the references from lord of the rings and game of thrones. All the texts are really well written, you did magic to create a more immersive experience with so little space to work on. Im playing in super and loving the difficult. I was surprised to see slade being useful in his first battle. Congratulations for the wonderful work. Hi DiegoMM, thanks a lot for your kind words! I'm very happy to hear that you're enjoying my hack. I don't post here much at all any more, but just wanted to write to say thanks for this. The tweaks you've made to the original game are many of the same ones I also feel I would have made. Not started playing yet but really looking forwards to it! Im in moun battle now. Im still enjoying all the changes, I see the game is very balanced (if was not my dificult choice) and the dialogue is superb ( I laugh with the luke joke in pacalon). The graphics change is very good too, it encourages me to use vicars, clerics, pegasus knight and berserker. I dont know if it was fault of the super dificult but I think all the paladins are too weak, they barely can do damage to enemies that others force members can kill in the same level. I noticed a little mistake in karna cleric walking sprite when she is in left/right position. Thanks a lot! I put a lot of effort into the dialogue in particular. DiegoMM wrote: I dont know if it was fault of the super dificult but I think all the paladins are too weak, they barely can do damage to enemies that others force members can kill in the same level. Are you using Rick or Eric? Because I believe that I didn't really nerf the Paladins in general, but I normalized their attack around Chester's level (and if I recall correctly, he is noticeably inferior to the other centaurs in vanilla). They should however be slightly tougher and have a larger HP than in the original game, as I intended them to be used as light tanks (not as tough as Barons and Berserkers, but more agile). DiegoMM wrote: I noticed a little mistake in karna cleric walking sprite when she is in left/right position. I'll look into that! Thanks! Flaming Manakin wrote: I don't post here much at all any more, but just wanted to write to say thanks for this. The tweaks you've made to the original game are many of the same ones I also feel I would have made. Not started playing yet but really looking forwards to it! Thanks, I hope you'll enjoy it!